Iranian Foreign Minister Mohammad Javad Zarif has confirmed in an interview with NBC News that Tehran's bid to send a satellite into space failed in early February, the second such mishap within two months. 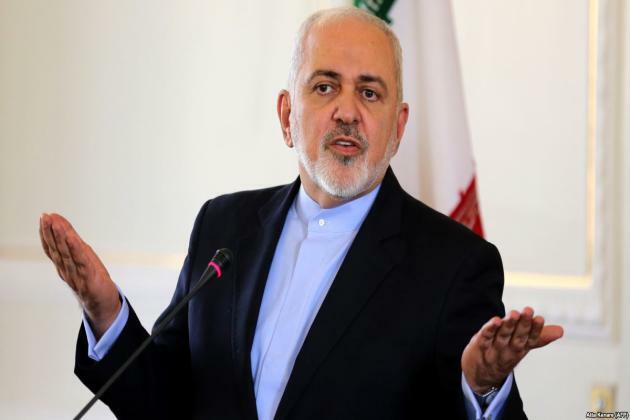 Zarif on February 15 said the reasons for the failure were not yet clear, but he suggested the authorities will investigate possible sabotage by the United States after a report in The New York Times published on February 13. Citing current and former U.S. administration officials, the newspaper reported that the White House had accelerated a secret U.S. program to sabotage Iran's missiles and rockets. Zarif said Iran had been investigating the causes of the failures but that it was now 'looking into the specifics' because of the article. A representative for the U.S. National Security Council did not immediately respond to a request for comment. Tehran had previously acknowledged the failure of the first launch in January, with Telecommunications Minister Mohammad Javad Azari Jahromi telling state TV that the rocket carrying the satellite failed to reach the 'necessary speed' in the third stage of launch. The United States alleged that Iran's satellite program uses technologies 'that are virtually identical and interchangeable with those used in ballistic missiles' in defiance of UN resolutions against any activity related to delivering nuclear weapons. Iran insists its satellite and rocket launches do not violate UN resolutions that only 'called upon' it not to conduct such tests. It has said its missile program is only for civilian purposes. Iran launched its first domestically built satellite in 2009, on the country's 30th anniversary of its 1979 Islamic Revolution. Iran marked the 40th anniversary of the revolution this month. In the NBC interview, Zarif repeated claims that it would be 'suicidal' to start a war with Iran, accusing the United States of having a 'pathological obsession' with his country. Zarif said that the 'same gang' that was behind the 2003 Iraq war were 'at it again' in pushing for a war with Iran, without naming names. U.S. national-security adviser John Bolton has taken a hard line on Tehran, saying the administration will 'squeeze Iran' with maximum economic pressure in response to Tehran's 'malign' behavior in the Middle East and around the world. Bolton, a former U.S. ambassador to the United Nations, served in the administrations of former Presidents Ronald Reagan, George H.W. Bush, and George W. Bush. Zarif also appeared to rule out the idea of renegotiating the 2015 nuclear deal that Iran signed with six world powers, granting it an easing of financial sanctions in return for curbs on its nuclear program. Trump last year pulled the United States out of the deal and began reimposing sanctions against Tehran.